ObamaCare is closing in on its sixth birthday, during three of which it was live and “operational.” Problems still persist from when it rolled out that are as fundamental as offering Americans truly affordable healthcare options. Perhaps the biggest challenge is that ObamaCare still is not attractive enough to a key demographic: Millennials. For lower income earners, those subsidies can cut monthly premiums substantially. For those near the higher end of the scale, however the credits aren't as nearly generous. "Many middle income people continue to suggest that exchange plans just aren't affordable for them," Pearson told CNBC. "Even with the subsidies, they simply can't make the monthly premiums work in addition to all of the out of pocket costs." Yet while consumers see high prices, insurers are seeing high costs on exchange plans. The costs are high in part because of the make-up of those who are buying into the plans. ObamaCare was engineered on the premise that young, healthy Americans would buy into the system to balance the expected costs and higher usage of medical care by older, sicker Americans. That hasn’t happened. 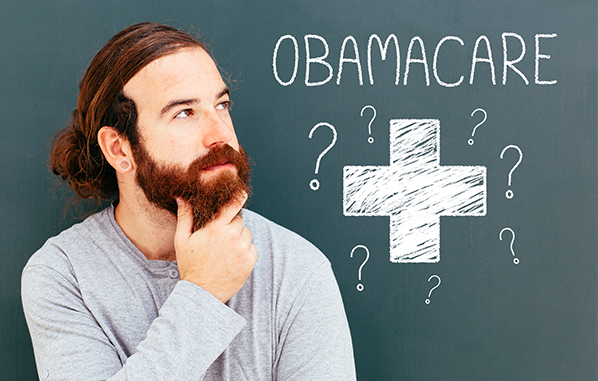 ObamaCare needs about 40 percent of enrollees to be under 35. Currently, nearly half of those enrolled are over 45 years old and because of that insurers are forced to eat the costs generated by a older, sicker pool of customers. Just 26 percent are between 18 and 34 years old. Insurers were expecting to be bailed out by the government for some of losses during the first three years of the rollout (which ends this year) but they haven't fared as well as they anticipated (fortunately for the American taxpayer who is stuck with the bailing). That explains why a dozen state-based nonprofit co-ops collapsed under heavy losses and why UnitedHealth Group threatened to get out of the ObamaCare business too. The Administration says pish-posh. They claim that the percentage of new sign ups among young people is trending higher and they expect procrastinating millennials to sign up at the last-minute for coverage as usual. In 2014, about 28% of people picking plans on the federal exchanges were 18 to 34 years old. The number of young people overall who are signing up—both young adults and children—was unchanged. Thirty-five percent of people who signed up or renewed coverage on the federal exchange as of Dec. 26 were under age 35, similar to the roughly comparable time period through Jan. 16, 2015. Still, overall enrollment of healthy people of all ages matters for maintaining affordable premiums on a state-by-state basis. There have been concerns that a dearth of young people would lead to a preponderance of older and sicker people that cause premiums to rise, forcing some younger and healthier customers to leave and premiums to further climb. That hasn’t occurred because the number of healthy people on the exchanges has been strong enough to prevent it. Forget quality care, low prices, or expanded access to desired services. Wacky ads that glorify hookups and binge drinking; turning up at clubs, parties and sneaker stores to sign up young people; and expensive tv ads during the Olympics and Superbowl also did not work. The Administration is depending on ObamaCare’s tax penalty that climbs to $695 per adult in 2016 as its biggest selling point. They hope that punishment will make young people do what they need us to because ObamaCare isn’t a product that we would readily buy based upon its merits and quality. We truly are just “adult children” in their eyes.